Founded on North Center/Lincoln Park border, Lathrop public housing projects. Originally affiliated with People from 1980-1992. 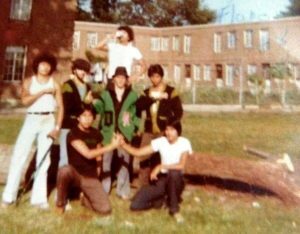 The Insane Deuces spawned out of the Morgan Deuces gang that operated out of the Pilsen neighborhood along Morgan Street. The Morgan Deuces date all the way back to the early 1950s in the West Loop neighborhood then by 1958 they had packed up and moved to Pilsen between 16th and 18th and Morgan. In the year 1970, a very young member named “Lil Rich” of the Morgan Deuces moved from 18th and Morgan to the Lathrop public housing projects which is located mostly in the North Center neighborhood and partially in the Lincoln Park neighborhood on Chicago’s north side. “Lil Rich” met up with a group of kids of mixed race, white, black and Latino and told them the wonderful stories of the crazy gang banging on the streets of Pilsen. He told them the famous battles that went down along 18th street while these kids shared their own stories of watching the Barons and Blackhawk Hoyne Outlaws dominate the projects. Some of these 12 kids Lil Rich met were members of the Junior Barons which was the younger members of the older Barons Street gang. I do not know what happened to the Blackhawk Hoyne Outlaws but at some point they died out and the Senior Barons were raising families and not as strong after their leader Gilbert Sanchez was killed on July 27, 1968. The Barons considered the projects as theirs and protected that territory and now their younger Junior Barons were ready to gangbang as hard as or harder than the Senior Barons, but the Senior Barons were running out of gas and were not as wild anymore. Lil Rich and guys like “Baby D,” and “Wink D” wanted to get a newer club going that could be a spinoff of both the Junior Barons and the Morgan Deuces that is when they came up with the “Insane Deuces.” At that point in 1970, the Barons retired and left the projects to the Deuces and Deuces agreed to protect the projects and the Barons’ families. From a 1980s Chicago Police manual, back when Deuces were People Nation. 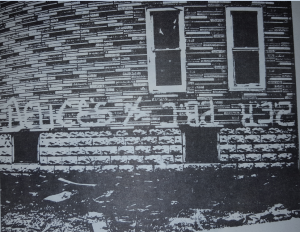 Hamlin Park Deuces, photo from 1980s Chicago Police manual back when Deuces were with the People Nation. Now the Insane Deuces had 3 factions and continued to grow throughout the 1970s reaching hundreds of members. The Deuces would make friends with the Latin Kings around and inside the projects. The Deuces needed a powerful ally because they were fighting very heavily with the much larger Simon City Royals over at their “Jahn Deuce” and Hamlin Park sections. The Deuces were also rumbling with the Gaylords that were not too far away in Logan Square. The Deuces were also squaring off with the Paulina Barry Community gang that had the nearby turf of……you guessed it…… North Paulina Street and West Barry Avenue. The Insane Deuces really got their claim to fame on July 10, 1974 when two of their members gunned down the Simon City Royals’ gang leader Rashad “Arab” Zayed on Melrose Avenue as he exited his car parked inside of a garage. The Deuces then grabbed his body and took it to the corner of Melrose and Damen and dumped the body out in front of Man-Jo-Vins restaurant at 3224 N Damen Ave; this big murder gave the Deuces much more recognition. In the year 1976, the Insane Deuces colonized the ripe suburb of Aurora, IL that only had local gang activity at the time that was starting to disburse. The Aurora Insane Deuces came to be, because a high ranking Latin King by the name of Angel Luciano settled in the suburb in the mid-1970s and his son “Rican” was an Insane Deuce gang member. The Lucianos moved from the Lathrop projects which are where the Deuces were born in 1970. Soon other Insane Deuces joined Rican in the suburb like “Iceman” and the men hung out at the street corner of Claim and Union right in front of the old Claim Laundromat with Latin Kings (closed down sometime back in the 1980s). The Deuces in Aurora were more a sleeper cell until about 1981 when they took in some youths in the area such as: Cuevas, Smurf, Lil Man, Grease Ball, Chatti, Albert “Psycho” Gonzalez, Duke, Bam Bam, Coco, Bugsy, Rican, Gator, Shorty D and Ghost and so began the major growth of the A-Town Deuces out in the suburbs and in the early 1980s, Albert “Psycho” Gonzalez became the leader of the younger Aurora Deuces right after he joined the gang and was known as the first Aurora Deuce leader. Aurora was in the earliest stages of becoming a rough and tough neighborhood as gangs like Black Gangster Disciples, Imperial Insane Vice Lords and Latin Disciples (MLDs) began invading the area. by the late 1970s The only allies the Deuces had were the Latin Kings but Latin Kings were a part of the People Nation and the Deuces were not which would sometimes complicate issues with Deuces getting backup from the Latin Kings while incarcerated. In the year 1981 Deuces and Gaylords drew an alliance behind bars because they were both outnumbered. The Gaylords had several locked up members so this was a powerful ally for the Deuces to have, and together they made a decision in 1981 to go before the Latin Kings and ask to join the People alliance, both gangs were reluctant but knew this was necessary for survival in the big house. 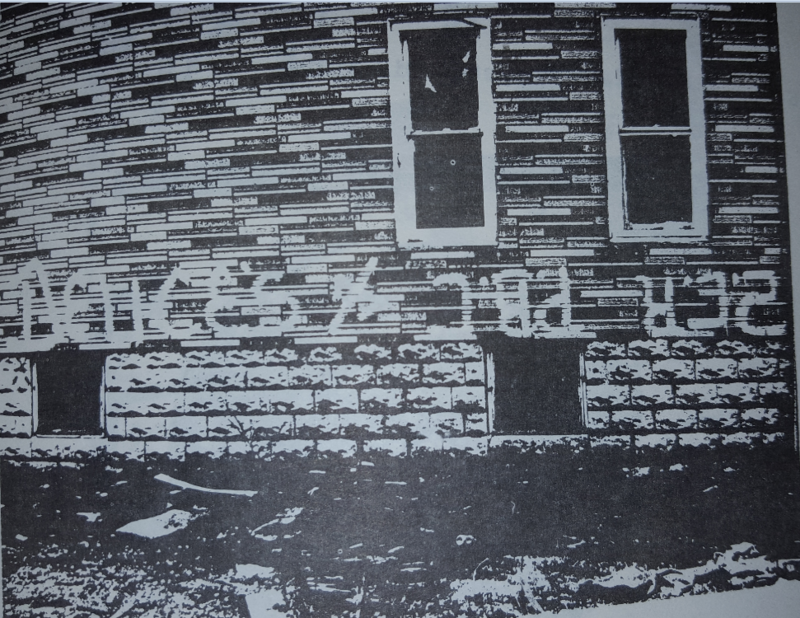 In 1981, it was official that the Insane Deuces were now a part of the Nation of The Peoples and they were able to bring in their cousin gang from Marshall Square, the Cullerton Deuces that same year. At first, the People alliance did the Deuces some good as they continued to grow at a fairly decent rate within their original sets and even opened turf at Milwaukee and Berteau in the Portage Park neighborhood. Another large faction opened up in the suburb of Elgin, Illinois which became a notorious Deuce territory. The Latin Kings were especially close allies with the Deuces along with the Freaks (Stoned Freaks). 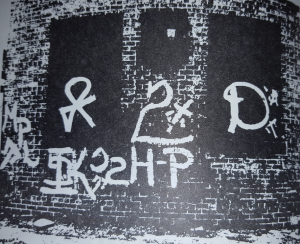 In 1983 the Folk and People nation alliances were visible on the streets and now Deuces were getting along with everyone under the five point star including EL Rukns (Black P Stones) and Vice Lords. Gaylords and Deuces became good allies at this point in time and would even hang with Latin Kings all together. Sometimes you could see Freaks, Deuces, Gaylords and Kings all hanging in the same spot. By the late 1980s the Deuces had grown to a pretty large number and were still in control of the Lathrop projects and where still the biggest gang in Aurora; however, an ally threatened that very existence, the Latin Kings. 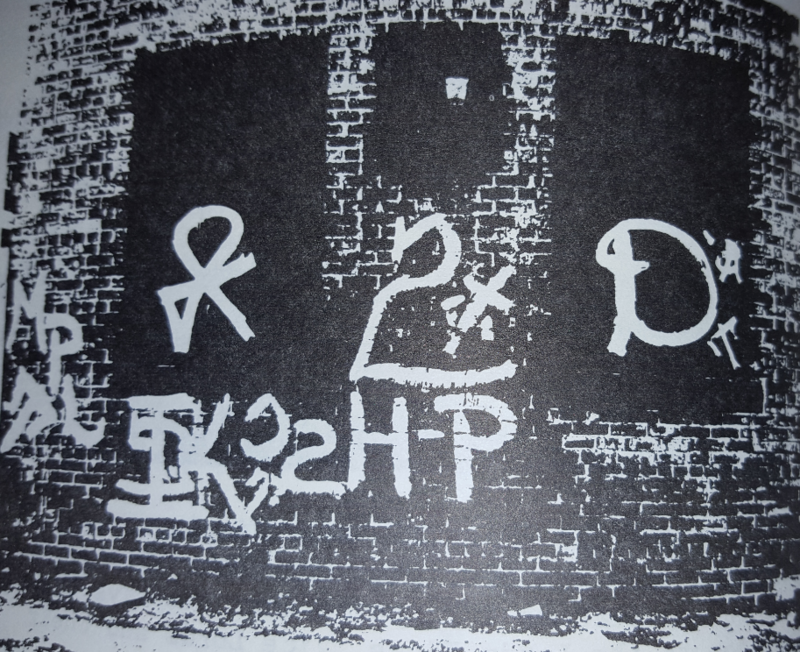 Starting in 1987 Latin Kings and Insane Deuces began having some rumbles at times over drug turf and other issues. The Latin Kings where a larger gang than the Deuces and felt they should have more of a significant stake in the Insane Deuce highly successful crack distribution operation that was operating on much higher drug profit margins than the Latin Kings in the projects. The Original street corner in Aurora at Claim and Union had become taken over by Latin Kings because Kings were flipping Deuces which disturbed older members. 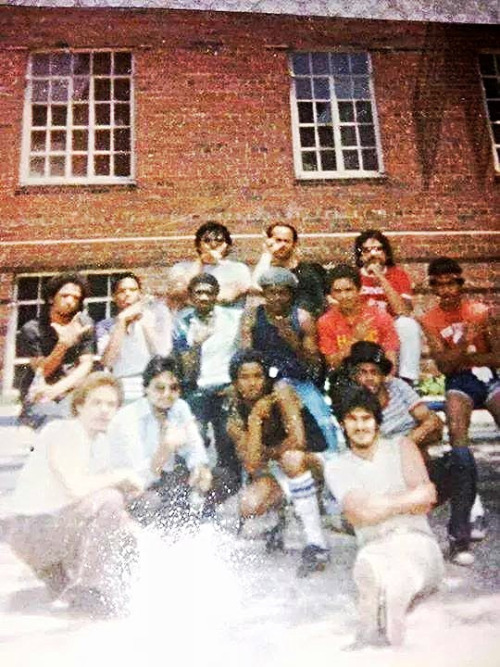 In 1987, the Puerto Rican Stones, Insane Deuces and the Ghetto Brothers Organization held a meeting to consider war on the Latin Kings; however, the GBOs and Stones never ended up following through. By 1989, the tensions were building more between Deuces and Kings, Vice Lords tried to smooth things over in Aurora, but Deuces accused the Vice Lords of being more on the Latin King’s side. Not only this, the drug trade was swinging in favor of the Aurora Deuces over Aurora Latin Kings. In the year 1989, Lord Gino, the incarcerated leader of the entire Latin Kings organization moved his girlfriend Bambi also known as “Lady Q” into the suburb in order to be closer to the massive drug trade taking part in the suburb her mission was to also get connected with Lil Man who was a major drug dealer for the Insane Deuces. In early 1990, Lady Q lured Lil Man to the Lathrop projects for a drug deal for cocaine, Lil Man was taken by surprise when Latin Kings robbed him and shot him up, Lil Man somehow survived despite being shot several times. The Insane Deuces were angered by the betrayal and kidnapped Lady Qs daughter in exchange for money. The Latin Kings hunted down more Deuce members in Aurora and shot at them in their cars, now this really pissed off the Deuces even though no one was killed. On June 3, 1990 Jorge Carvajal an Insane Deuce and Alex Ramos a Latin King got into a fist fight. This fight combined with continued animosity with the Latin Kings led 4 Insane Deuce gang members to pile into a car with 9 millimeter pistols. There was a Latin King party going on at the corner of Beach and Liberty. At about 10:00 P.M. the car load of Deuces pulled up with black hoodies pulled over their heads across the street from the party and fired 9 bullets into a crowd of Latin Kings. 3 Latin Kings were shot, one was shot in the ankle, another in the chest and had a collapsed lung, while the other was shot in the head and died at the scene. That gang member that was killed was Dennis Evans, an African American Latin King (People Vs. Carvajal Feb 26, 1993) (People State Of Illlinois Vs. Jose Oscar May 5, 1994). War was about to be in full swing and the final blow was when the Latin Kings waited until October 31st 1990 and revenge was served for Dennis Evan’s murder when Latin Kingsgunned down Albert “Pyscho” Gonzalez. On that Halloween night Gonzalez was in his Grove Street home all by himself when Latin King gang members snuck up to being about 190 feet away from the house and fired into the walls of the house with shotguns, rifles and various other guns, the bullets struck Gonzalez in the chest right through his heart and he died at the scene instantly. Angel Luciano was heavily suspected of ordering the death and in 2007 he was convicted of that murder (People vs. Luciano, 2013). Lil Man then took over the leadership position after Psycho’s death. Now war was in full swing and the shootings were going back and forth in the end of 1990, this led to the accidental shooting death of a 15 year old Latino youth that was dressed in black and gold colors walking down the street in front of Cowherd Middle School. The Deuces were so eager to snuff out another Latin King that they opened fire on this kid before he had a chance to represent. It turns out the kid was a member of the Imperial Insane Vice Lords, now the Vice Lords wanted war with the Deuces. In the meantime, the Insane Deuces in Chicago were warring with the Latin Kings over the Lathrop projects which were turning into a blood bath. Thanks to this new gang war with the Latin Kings the Insane Deuces now had to level up on their gun supply in order to fight all these gang wars in Aurora since they now had no allies. The Deuces then built up an arsenal of guns that they stashed under a pine tree in “Deuce Park” which was right nearby Union and Claim. Since the Kings now owned the street corner of Union and Claim they would have to cross through the park to get home, but the Deuces owned a much bigger stake of territory in the park. When Kings would cross through “Deuce Park” they were fired upon at all angles and even from Deuces that had climbed trees. This operation did not last long before Aurora police found the stash and flushed Deuces out of the area. In prison the Latin Kings and Insane Deuces were at war regardless of People Nation ties. The Kings were a bigger gang and the Deuces found themselves outnumbered in the joint as Folks and Kings were attacking them. In the late 1980s an Insane Deuce leader named “Blade” tried to convince his organization to turn Folks, but he lost that vote 25-1 as he was the only one to vote yes. But now that would soon change after meeting with Spanish Cobras and Two Sixs (Hagedorn, the Insane Chicago Way P. 71). In the year 1992, the wars with Vice Lords and Latin kings were weighing heavily on the Deuces as they no longer had support from any allies, not only that there were problems in the prison system as members that committed violent crimes against the Latin Kings were now vulnerable to retaliation from Latin Kings and Vice Lords. The People Nation was no longer a good fit for the Deuces so they came to the Spanish Cobras to join Folks. The problem was by 1992 Chicago gangs no longer respected the Folk and People alliances and wars within the alliances were rampant, so in Chicago the Deuces still really had no allies especially since the Simon City Royals were their biggest enemy and also a part of the Folk Nation. Old friends of the Deuces became enemies such as the Gaylords and now the Stoned Freaks who had just joined the People Nation. In the year 1992, after joining Insane Folks thanks to the Spanish Cobras, the Deuces became good allies with the Gangster Disciples in Aurora. Now the Deuces were hanging out with many more African American youths thanks to the ties with GDs, this accompanied by the release of the movie South Central brought more black recruits into the Deuce nation. The movie South Central featured a young 11 year old boy that had an imprisoned father that ended up in prison for murder. The gang the father was in was the “Deuces” and now his son wanted to join the gang. Anyway, it was said a lot of African American youths joined the Insane Deuces in Aurora in 1992 because of that movie. With this rise in youths joining because of a movie and having to embrace the new Folk Nation caused many older members to leave the organization to either retire or flip to Latin Kings. The Deuces that joined solely because of the movie turned out to be fake and either flipped to GDs or ended up being kicked out of the organization for being a nuisance while others would last a little longer. In the mid-1990s many issues came the way of the Deuces. In Aurora, some Deuces left the gang to start their own gang called the West Side Homeboys but the gang remained as allies until the West Side Homeboys flipped to Ambrose gang members and the Deuces allied with Ambrose which helped Deuce operations. In 1996 another war with Maniac Latin Disciples broke out after an earlier war had been squashed. A fight broke out between an MLD and a Deuce named Cheerio. Cheerio got revenge by shooting the MLD dead. This war was uncontrollable to the point that older Insane Deuces moved into Elgin to help out with the Elgin war which was the original source of the conflict. More problems would arise in Elgin when the Deuces shot a member of the Spanish Gangster Disciples named Gizmo in the back of the head with a .22 caliber pistol which eventually killed him. The 21st century was not good to the Deuces as many older members retired and the Lathrop projects fell under the complete control of the Latin Kings due to older members retiring and young members flipping to Latin Kings. In 2003 major Aurora police raids took down many members of the Deuces and Latin Kings, there were also 65 lives claimed between both sides during the war between the years 1990-2003, all these factors severely hurt Deuce operations state-wide but did not stop operations, the Deuces still kept all the rest of their territory in Aurora, Elgin, Roscoe Village, Portage Park and Canaryville. Please send in old school pics! What happened to Lil Rich? I had heard the Deuces joined Folks in 1992, was it in 92 or was it indeed in 91?